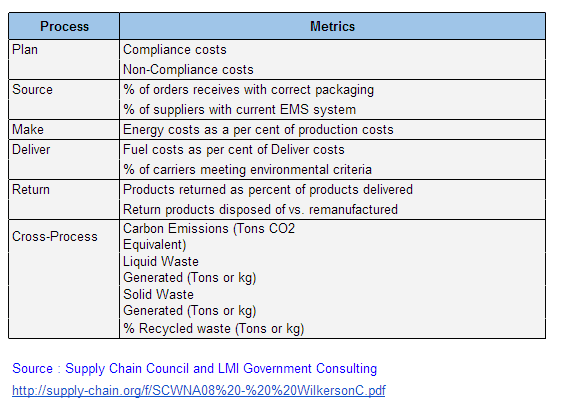 How to create a green supply chain program that works? This article will show you how to apply green supply chain best practices that you can really implement. The Green supply chain program aims to measure, analyze and improve performance among various members of the supply chain. To ensure that these companies are operating in an environmentally friendly manner. As you can see, these performance measurements are centered around cost, policy compliance and the number of wastes generated from the system. - Compliance costs, Noncompliance costs, and Energy costs can be found in a standard financial statement. - Policy compliance, such as % of correct packaging, % of the supplier with EMS system, % of carriers with environmental criteria is one type of supplier evaluation criteria. - Amount of wastes such as % of the product returned, % of product disposed against product re-manufactured, liquid waste, solid waste and recycling waste can be found in the production records. One special type of metric is the amount of Carbon Emission. This measurement needs lots of work and will be discussed in the next topic. Energy consumption is a big source of CO2e. In order to determine the amount of CO2e released during production, you need to know how many units your suppliers produce a year (Total Output), Electricity Consumption a year and how many units you buy from them. Another piece of information you require is called the emission factor. This is the amount of CO2e released for 1 kWh of electricity consumption. Then, the basic idea to calculate CO2e emission is energy consumption*emission factor. Each mode of transportation emits the different level of CO2e then an emission factor is different. To compute the emission from inbound logistics activities, total weight and distance should be identified. Then, the total CO2e emission is the result of weight in tonnes x distance in km x emission factor / 1,000,000. The same logic (weight in tonnes x distance in km x emission factor / 1,000,000) also applies to outbound logistics. Anyway, you may find that you have hundreds or even thousands of delivery destination. Then, how you can determine the distance? The first piece of information you need is a geographic coordinate. The easiest way to get it is to use a geographic coordinate published by U.S. Census Bureau. The benefit of this approach is that you can calculate the distance from you to every customer rapidly in excel file. Anyway, please note the distance is a straight line from one point to another. Then, the distance seems to be a bit shorter when compared with actual road contour. - Protocol, Greenhouse Gas. "Greenhouse gas protocol." Sector Toolsets for Iron and Steel-Guidance Document (2011).